This week was spectacular for astronomy and astrophysics with the first-ever photograph of a black hole being released. The incredible image has quickly spread around the world via social media. Katie Bouman, the woman behind the first photo of a black hole, has also won the admiration of people around the world. While her reaction to such a groundbreaking discovery is quite modest, based on the pictures she posted on Facebook and reports from her team, we can’t ignore the fact that her scientific contributions will be remembered and cherished for a long time. Katie Bouman is a 29-year old assistant professor of computing and mathematical sciences at Caltech, and she developed an algorithm at MIT which enabled the first photo of a black hole to be taken. She has worked with MIT’s Computer Science and Artificial Intelligence Laboratory, the MIT Haystack Observatory and the Harvard-Smithsonian Center for Astrophysics over the last few years to lead the development of her groundbreaking algorithm. The photo doesn’t exactly capture the black hole. The glowing ring is, in fact, called an event horizon, the point beyond which not even light can escape the pull of a black hole. Black holes can measure over 6.5 billion times the mass of the sun and can “warp the fabric of space-time,” according to the National Science Foundation, which also contributed to the EHT project. 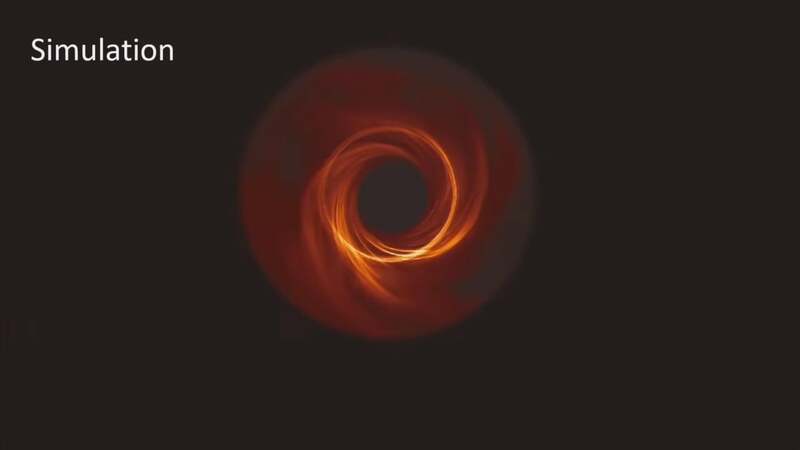 The woman behind the first photo of a black hole rendered a set of photographs taken by the telescope using her algorithm. The team that maneuvered the telescopes to capture the image consisted of more than 200 scientists, according to CNN.